​friendly, can be reclaimed and re-used and contain no acid compounds. Furthermore, these new solutions do not produce trivalent chromium (a known carcinogenic) as do acid based systems. WDR Scientific and Labsply TM provide consulting and custom process solutions for Dental and Medical precision small batch electropolishing. 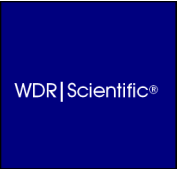 WDR Scientific and Labsply TM are leaders providing robust finishing solutions to our clients. A final bright mirror finish and surface passivation reduce formation of biofilms while in the mouth. Chemical Deburring and surface neutralization provide smooth finish and improve the resistance to formation of biofilms. Cardiovascular Stents, produced by sub micron laser cutting requires additional surface smoothness and passivation unable to be achieved on a mechanical basis.